Patrick Jackson is the Head of Music at The Arc School in Nuneaton. The school is an Independent Special School and have been clients of Gigajam since September 2011. It is rated as a good school by Ofsted and this term they are entering their fifth successful year using Gigajam. Patrick kindly agreed to share his experience of Gigajam and this The Arc School’s story. Arc School Church End is an Independent day school based on in rural Warwickshire catering for children and young people who have struggled in mainstream education environments and whose needs were unmet in those settings. What problem(s) were you trying to solve? 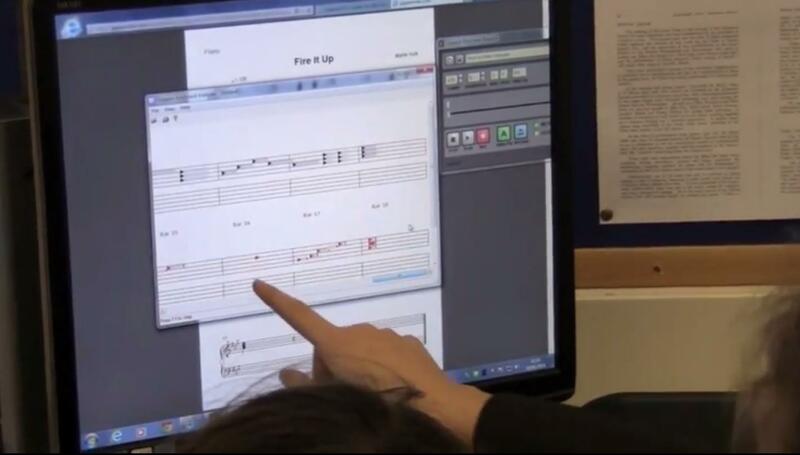 In an effort to raise pupil attainment across the board, from those who struggle with musical concepts through to gifted and talented pupils, Gigajam was engaged to enable individual access to music as well as being used at a class level. 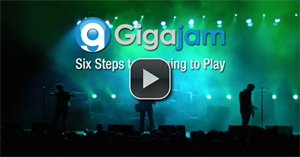 Gigajam was implemented for Year 8s and 9s primarily but has now filtered down to the Year 7s and up to Key Stage 4. The competitive nature of the pupils, coupled with the instant scoring means that while some have little difficulty progressing through the lessons, others will attempt to beat previous scores until they have achieved as high as they feel they can. 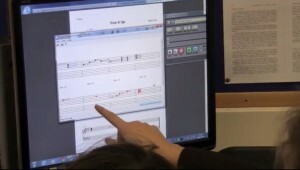 The instant scoring of the lessons and the fact the scoring is computerised rather than opinion based means my pupils have no difficulty accepting the score given to them. This in turn makes them more willing to analyse where they went wrong and to learn from their mistakes to attempt to gain a higher pass rate. This also makes progress for each pupil relatively easy to evidence. 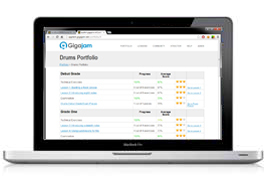 How easy was it to deploy Gigajam in your department? Deploying Gigajam was straightforward. The software is very accessible so once the pupils have their own login details, the teacher then becomes a facilitator to learning. How have you been able to measure impact? The instant scores that the pupils get are saved into the pupils’ own folder and so even multiple attempts at an exercise shows progress. The final score they choose to upload to the Gigajam system is kept on a visual tracker designed to show the pupils how many exercises they have achieved and how many are left until they get to the exam stages. Each pupil will have a personal tracker in the cover of their exercise books also. Currently, the impact is measured in the amount of pupils taking and passing the graded exams offered through Gigajam. 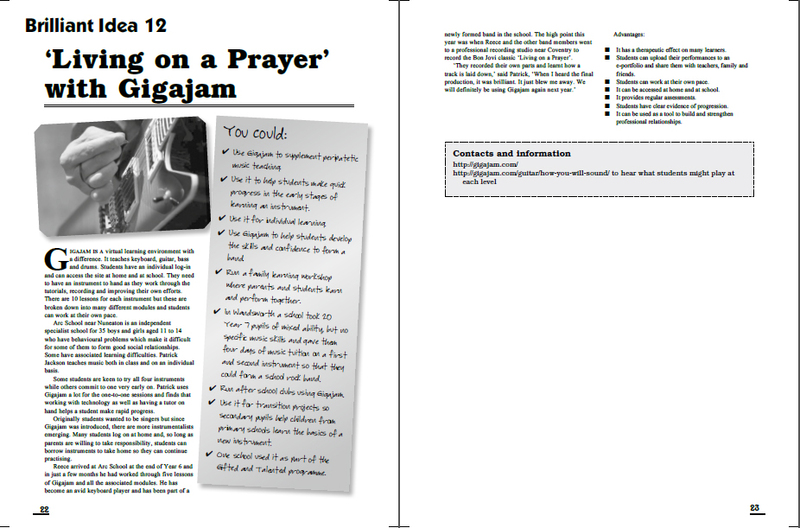 How have pupils responded to the use of Gigajam? On the whole, pupils have responded very positively. This generation of pupils are especially computer literate, so the whole Gigajam setup quickly becomes second-nature to them. Once they see themselves achieving and understanding that this is something that is within their abilities, they generally request more Gigajam time. What impact has Gigajam had on your approach to teaching? Gigajam’s main impacts on the pupils’ teaching and learning are the transferable skills that carry over to the main curriculum. Many pupils ability to access music is enhanced through having a better understanding of the building blocks of western music, i.e. chords and scales. As such, Music becomes less intimidating and more enjoyable. How do you see Gigajam being used to develop your department? I would like to see as many of my pupils as possible leave school with the highest grades they can achieve in whichever instrument they choose to pursue. Have there been any unexpected results from using Gigajam? There have been examples of pupils who have had no prior experiences with music as well as those who had previously struggled with music having their appetite for music increased due to the competitiveness of attempting to beat their own scores. 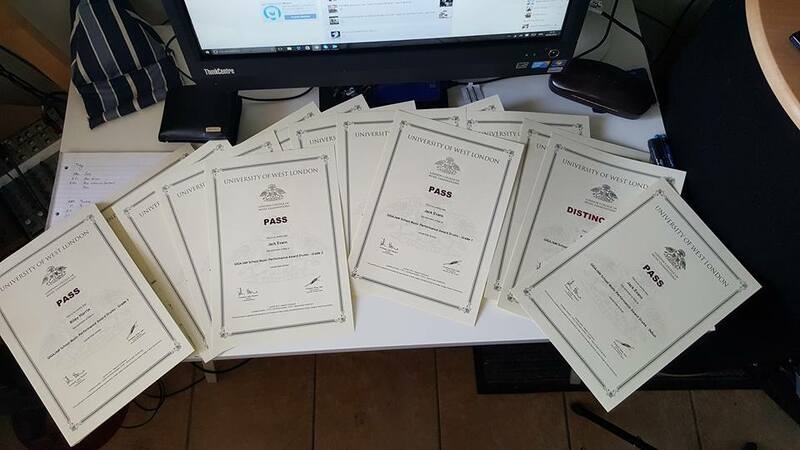 These are the small steps that lead to the pupils gaining their Debut Grade qualification. This then feeds the success cycle of opening the horizon to further and more challenging graded qualifications. 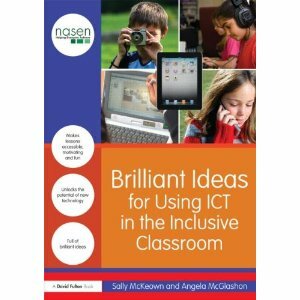 We are delighted to be featured in Sal McKeown’s latest edition of Brilliant Ideas for ICT in the Inclusive Classroom. Brilliant Ideas… has 50 case studies and 20 ‘how-to’ sheets. 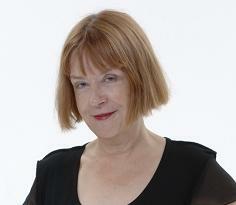 The essence of the book is to help teachers and LSAs make more creative use of technology in their day to day work. It features practitioners who do interesting things with technology, from wikis and storyboarding to gaming platforms, animations and podcasts. Arc School pupils become recording artists! 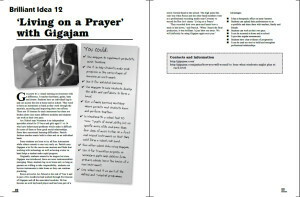 Arc School (formerly known as The Old School), became Gigajam clients at the begining of the 2011 academic year. They are an independent DCFS approved specialist resource offering day schooling for boys and girls aged 7 to 16 who have complex presentations of socially disadvantaging behaviours and often associated learning difficulties. 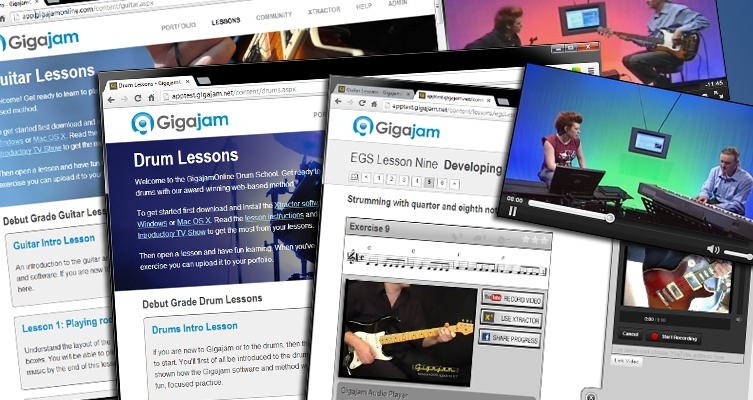 They wanted Gigajam to support their delivery of an active musical curriculum.